This is another shortbread cookies made in the South Arm Older Adults Cooking Club. 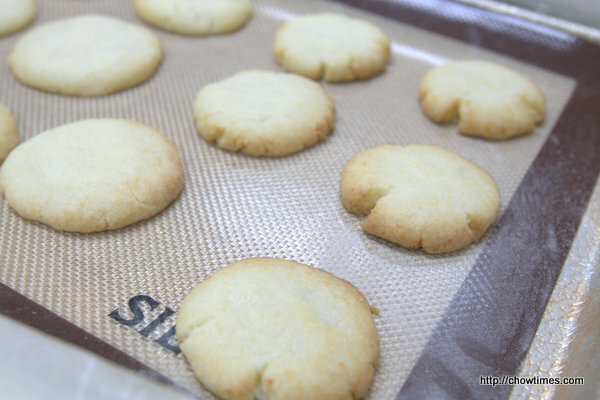 This Swedish Dream Cookies are flavoured with almond extract and with added flaked coconut. Preheat oven to 300F degrees. 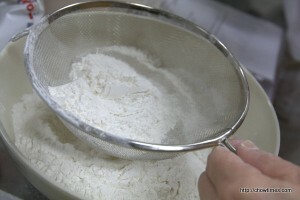 Sift together flour, salt and baking powder. 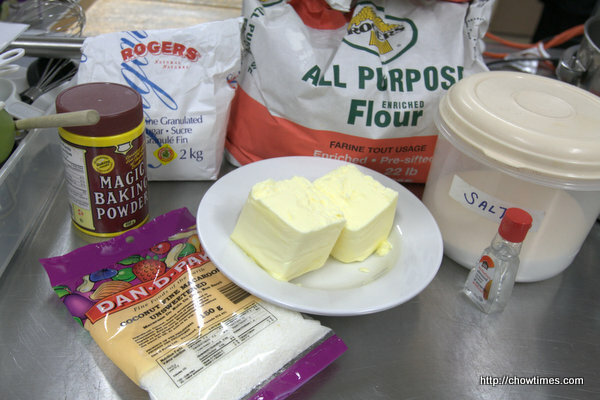 Beat together with a mixer in a large bowl; butter, sugar and almond extract. Add flour mixture and flaked coconut to creamed mixture and mix well. 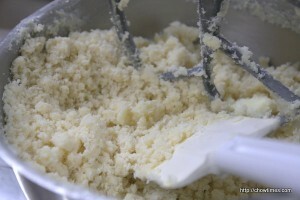 The dough will look crumbly. 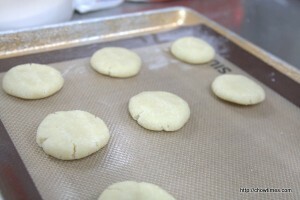 Scoop by heaping tablespoon and form into ball and lightly pressed on a parchment lined baking sheet. It seems like a really nice cookie but it is not Swedish Drömmar. Here is one more accurate, if you want it bake a Swedish classic. 1. Stir together butter and sugar. Add the oil and whisk until the mixture is white and porous. 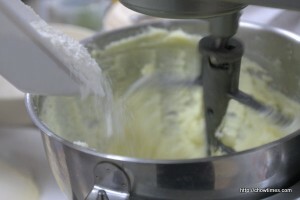 2nd Mix the flour with bakers ammonia and vanilla and stir into the batter. 3rd Roll small balls of dough and place on. Bake in 300 hot Owen for about 17 minutes.